Cathy freelances as a Creative Producer, Project Manager and Practitioner, and works part time at London Youth Choir as Programme Manager for the Greater London schools outreach programme Aspire and as Head of Safeguarding and Wellbeing for the five youth choirs. 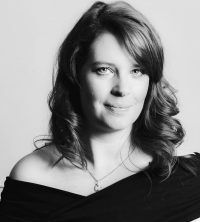 She has over ten years experience in arts management, specialising in Learning and Participation, having worked for ROH, Wigmore Hall Learning, Gabrieli Consort, Britten Sinfonia, British Council Music and Harrow Arts Centre. She is also a singer and practitioner holding a PGCE in Secondary Music with experience in secondary and primary music teaching: classroom and peripatetic.